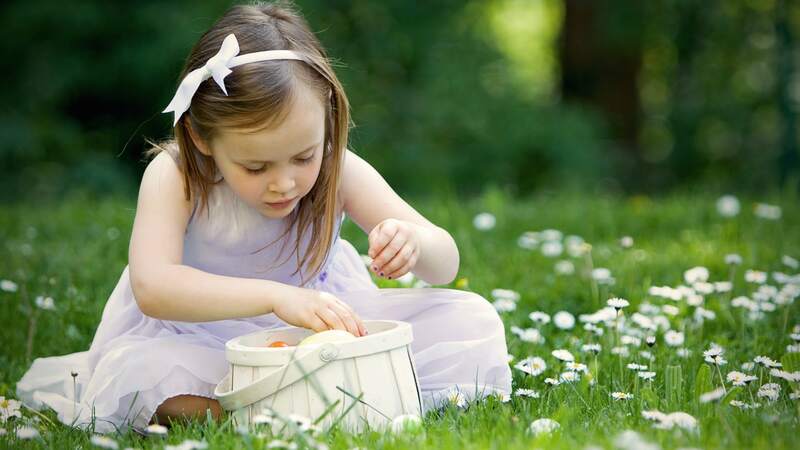 There are so many things to love about Easter — the thrill of the Easter egg hunt, the pretty pastel colors, the cute animals associated with the holiday. The inevitable sugar high and crash that comes after kids rip through candy-filled Easter baskets? Not so much. Cream eggs, sugar coated marshmallow chicks and huge chocolate bunnies make Easter second only to Halloween when it comes to junk. It doesn’t have to be that way, however. These ideas will help you fill your kids’ baskets with treats that don’t have anything to do with candy. Create a unique basket for each of your children specifically designed for them. Have a budding artist? Stock up on paints, canvases, chalk and brushes. Is one of your kids into athletics? They’ll love a basket filled with balls, a new glove or even baseball (or football or basketball) cards. The kids will be thrilled, and they’ll have an activity to keep them busy all day. Stuffed bunnies and ducks Easter basket standards, but they are kind of expected at this point and — dare we say — a little boring when they pop up every year. But cuddly toys are definitely still an option — just pick something with a more unique twist instead. This adorable hooded blanket from Comfy Critters is a stuffed animal and a blanket — all in one. Instead of having one more stuffed toy to add to their pile, your kids will have a new blanket to cuddle up with at night — and a fun, new toy, too. Comfy Critters makes a bunny, a chick and a lamb — perfect for Easter — but the company also carries other hooded animal blankets. Make a basket filled with coupons your children can exchange throughout the year. “No chores for the day” or “Kid’s choice for dinner” are usually a big win. Other ideas include lunch out at their favorite restaurant or 1-on-1 time with a parent. Half the fun of an Easter basket is all the tiny little stuff (inexpensive) stuff. Instead of giving your children something, have them do the giving instead. Contact local children’s hospitals or women’s shelters and ask if you can bring baskets for the children. Head to the store together and select items to give to people in need, and then bring your children along for the delivery. You could also consider sending Easter care packages to troops overseas. The memories made and the joy your children will bring to others is something they will remember for the rest of their lives. Create an Easter tradition of doing something fun like going to the zoo, a movie or the children’s museum. Gift kids a few items appropriate for the outing like new sunglasses and a disposable camera for the zoo or a few healthy snacks to bring to the movies. Take older kids to a sporting event or out for manicures and pedicures. A scavenger hunt is another way to add some fun and excitement to your Easter festivities. Hide practical items like a new bathing suit, bright-colored pens or books throughout your home and yard. Create a list of clues and have your children hunt down all of their items. The activity will likely last much longer than the initial joy a basic Easter basket brings. Celebrate the holiday with your older kids by giving them intangible things like a later curfew one night, more computer time or more cell phone minutes. Show them you acknowledge their interests by getting them books, movies or music they enjoy. If building an Easter basket sans candy makes you feel like a complete Easter Scrooge, add in a few pieces — but don’t make candy the focus of the basket. One chocolate bunny will give your child the sweets they expect without giving them a month-long sugar high. You can also bake your own Easter treats and put those in the basket instead of candy. Not only can you make healthier treats than pre-packaged candy, but you’ll also know exactly what is going into the treat.